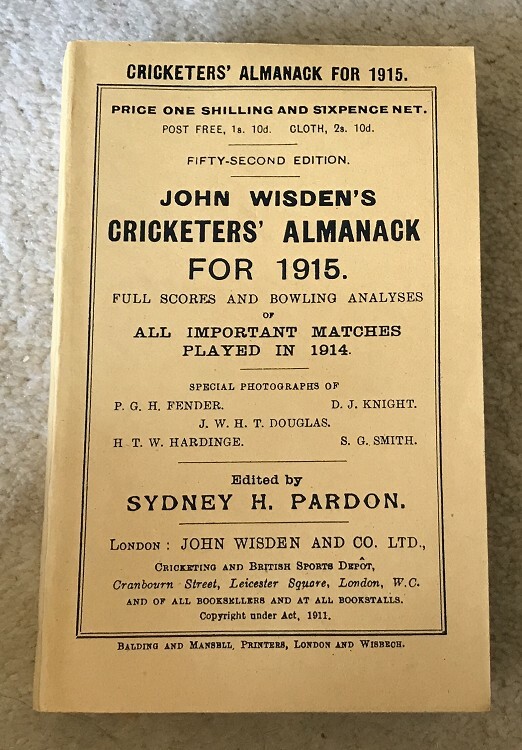 This lot is an 1915 Wisden Paperback with facsimile Spine and Covers. In Very Good+ Condition. The covers and spine are new and well made, internally nice and clean, possibility first and last advert could be facsimile, hrd to tell. Excellent photoplate. A tightly bound, presentable Wisden and if you dont mind the facsimile exterior a super book at a great price. We have three runs from 19 00 to 19 46 available and listing this one, please contact us if you want to know more about the other two runs.